The Healthy Minds Blog has moved. More than half of people with mental illness are not receiving the care they need, but technology is offering those in need more ways to access mental health help. While using technology is not new, it is rapidly changing and expanding. A June 2015 World Health Organization report notes that 6 six percent of all mobile health apps relate to mental health. 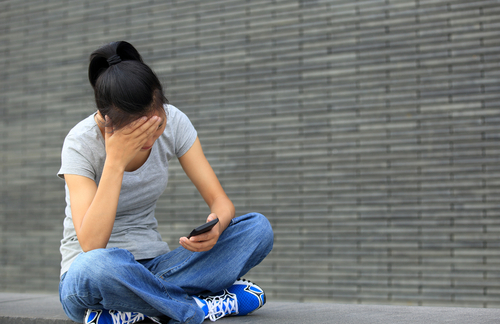 Technology is being used to help individuals and their physicians track depression symptoms. For example, one app helps monitor mental health by tracking in real time responses to depression screening questions. Many emergency rooms are now using remote access to psychiatrists to provide psychiatric services that would not otherwise have been available. Cognitive behavior therapy (CBT) and other talk therapies are increasingly being provided remotely. A recent study looking at computer and Internet based CBT found it to be a promising treatment for youth with depression and anxiety. Technology allows people to connect to others for sharing, understanding, support and community. For example, the Love is Louder campaign, a collaboration of The Jed Foundation, MTV and Brittany Snow, has hundreds of thousands of participants in its efforts to address issues such as bullying, discrimination, loneliness and depression. 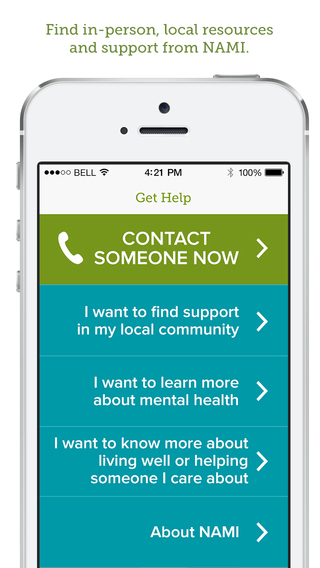 The National Alliance on Mental Illness (NAMI) has developed a support app, NAMIAir (Anonymous, Inspiring, and Relatable), for people looking to connect and talk about mental health. It is designed for use by individuals with mental illines and their families and allows people to share experiences and receive encouragement. Numerous apps are available to help people who have difficulty with communication, such as many people with autism, to express themselves. The apps are changing the lives of many children and adults with autism. (2) Chan S, Torous J, Misra S, et al. Smartphone apps for anxiety: A Review of Commercially Available Apps Using a Heuristic Review Framework. Poster presentation at Annual Meeting of the American Psychiatric Association, 2015. Twenty-five years ago, on July 26, 1990, President George H.W. Bush signed into law the Americans with Disabilities Act (ADA). The ADA and the subsequent ADA Amendments Act, signed in 2008 by President George W. Bush, expanded opportunities for Americans with disabilities by reducing barriers and changing perceptions. As a result, our society is more open and accessible to people with disabilities today than it was just a generation ago. The ADA prohibits discrimination based on disability in employment, services rendered by state and local governments, places of public accommodation, transportation, and telecommunication services. 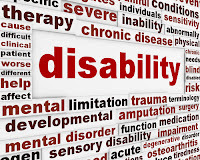 While the ADA mandates equal access to employment for people with a physical or mental impairment, two-thirds of Americans with disabilities are still unemployed or underemployed, a number that has not changed since the ADA became law. 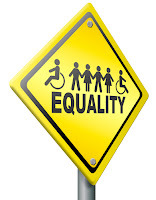 Truly, employment remains the unfulfilled promise of the ADA. 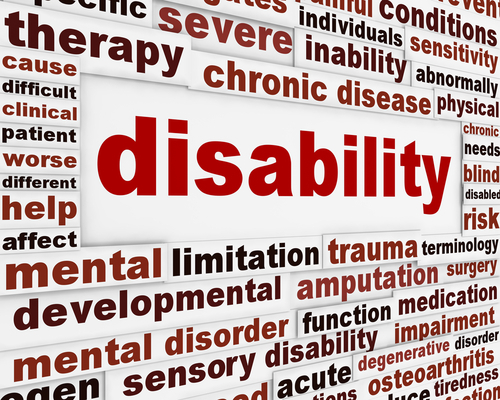 In a recent Catholic News Service article, Marian Vessels, director of the Mid-Atlantic ADA Center in Rockville, Md., suggested the need to address disabilities that may not be apparent or obvious, noting: “accommodations need to be made for people with psychiatric issues, people with PTSD, people with a variety of different learning disabilities.” Addressing these concerns is critical to expanding opportunity for those with mental or intellectual disabilities, as well as those with physical disabilities. The Interfaith Disability Advocacy Coalition (IDAC), a program of the American Association of People with Disabilities (AAPD), partnered with the ADA Legacy Project, the Collaborative on Faith and Disability, and the ADA National Network to celebrate the progress and recommit to the promise of the ADA. We developed worship and education resources, a proclamation for faith communities to commit to full implementation of the ADA, and hosted an interfaith worship service celebrating 25 years of the ADA, July 26 in Washington, D.C. While the 25th anniversary of the signing of the ADA has passed, the opportunity to recommit ourselves to expanding access and opportunity for Americans with disabilities remains, whether those disabilities are apparent or not. Alcohol misuse is common – more than 16 million US adults (about seven percent) have alcohol use disorder. Yet many people don’t get help. Less than one in 10 people with alcohol use disorder receiving treatment, according to the 2013 National Survey on Drug Use and Health. 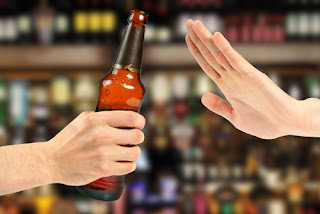 Many people with alcohol use disorder don’t think they need treatment, yet even among people who believe they need treatment, only 15-30 percent receive treatment. Researchers looking into why people don’t get treatment found barriers related to beliefs and attitude the biggest obstacle. Among people who believe they need treatment, their attitudes are the most commonly reported barriers, according to research reported in Psychiatric Services in Advance on August 3, 2015 Financial barriers (e.g., couldn’t afford it) and structural barriers (e.g., didn’t have time, didn’t know where to go) were cited much less frequently. Previous research has identified some characteristics that make if more or less likely that people will seek treatment: unmarried people are more likely to get treatment than married people and men are more likely to get treatment than women. 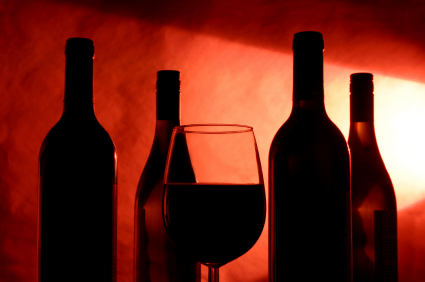 One ongoing problem, the researchers note, is that many doctors are still uncomfortable asking about alcohol use. Concerned about your own drinking? See an online assessment from NIAAA and learn more problem drinking and getting help in Rethinking Drinking. Find help with SAMHSA’s Behavioral Health Treatment Locator or 24-hour toll-free Referral Helpline at 1-800-662-HELP (1-800-662-4357). Actor Jared Padalecki, known for his roles in “Supernatural” and “Gilmore Girls,” has become the latest in a long list of celebrities who are speaking out about mental illness. These famous people are talking about their personal experiences and using their popularity to help raise awareness, fight stigma, and encourage people who are struggling to reach out and get help. Padelecki has talked about his struggles with depression and initiated the #AlwaysKeepFighting campaign to raise awareness and support. Musician Demi Lovato has been outspoken and public about her experience with bipolar disorder and has become an outspoken advocate for mental health. She recently joined with several organizations, including the Depression and Bipolar Support Alliance, the Jed Foundation, and others, as part of the Be Vocal: Speak Up for Mental Health initiative. The campaign encourages individuals to speak up for themselves in asking for help and to learn how to speak out for others in the community. Actress Glenn Close has been outspoken and active in bringing national attention to the issue of mental illness. After seeing her sister cope with a mental illness and the stigma associated with it, Close founded the nonprofit advocacy organization of Bring Change 2 Mind. Actor Joey Pantoliano, has also been active in talking about his personal struggles with depression and substance use. He is raising awareness and fighting stigma through his No Kidding, Me Too! foundation. Among its many activities, NKM2 promotes messages of empowerments and acceptance through an award-winning documentary of the same name and a series of public service announcements. Brooke Shields has publicly shared her experience with postpartum depression and written her story of despair and recovery in a memoir, “Down Came the Rain: My Journey Through Postpartum Depression.” Carrie Fisher (Princess Leia of “Star Wars” fame) has taken her advocacy to the stage with her autobiographical one-woman play “Wishful Drinking,” where she tells her story of bipolar disorder and substance use with openness and humor. As Jeffrey Borenstein, M.D., president and CEO of the Brain and Behavior Research Foundation, noted in a recent interview with CNN, "When celebrities speak publicly about their own experiences with depression or other psychiatric conditions, it's very helpful. It opens up a conversation about these issues. If someone you admire is going through the same thing you might be going through, it makes a difference with people, it causes people to seek help." Borenstein is also host of a PBS series on mental health issues called Healthy Minds. You can view past episodes on topics such as bipolar disorder, autism, schizophrenia, and more online at WLIW – Healthy Minds.